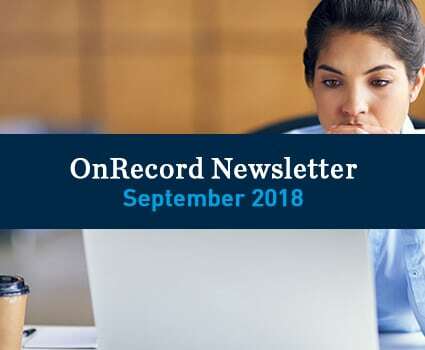 TAB OnRecord is one of the world’s most popular and longest-running RIM newsletters. Sign up today to receive practical tips, RIM best practices and spotlights on real-world projects. 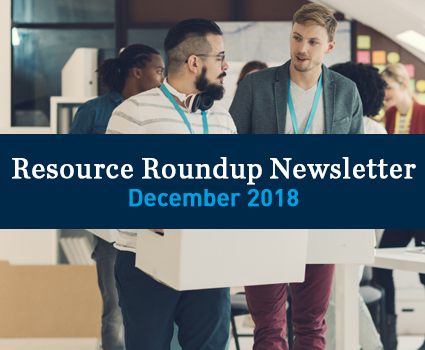 Our newsletter offers helpful insights for C-level executives, directors, and RIM professionals in a variety of industries, including energy, finance, healthcare, government and legal. 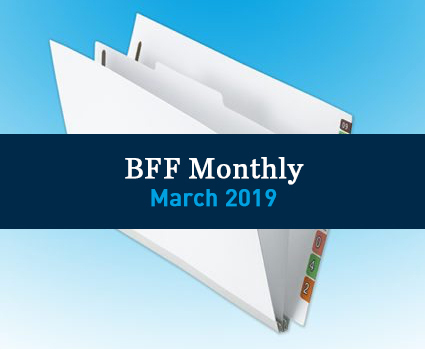 March 2019: BFF Monthly: Go green with your filing system! 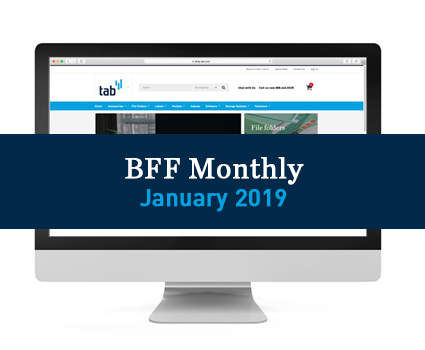 BFF Monthly: It’s easier than ever to order from TAB online! 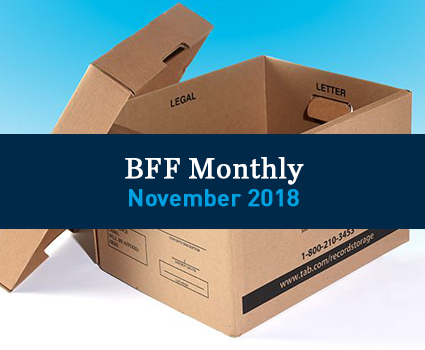 November 2018: BFF Monthly: This season’s “in” items? Filing accessories! 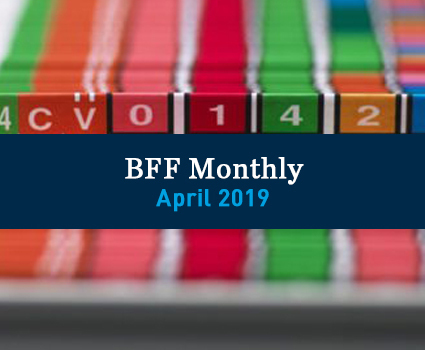 September 2018: Digital transformation? Try a pilot. Brand-new TAB white paper.